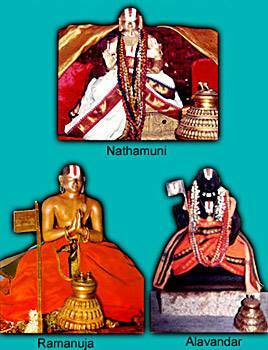 Swamy Yamunacharya, was the son of Isvara Bhatta and grandson of the great acharya Swamy Nathamunigal. 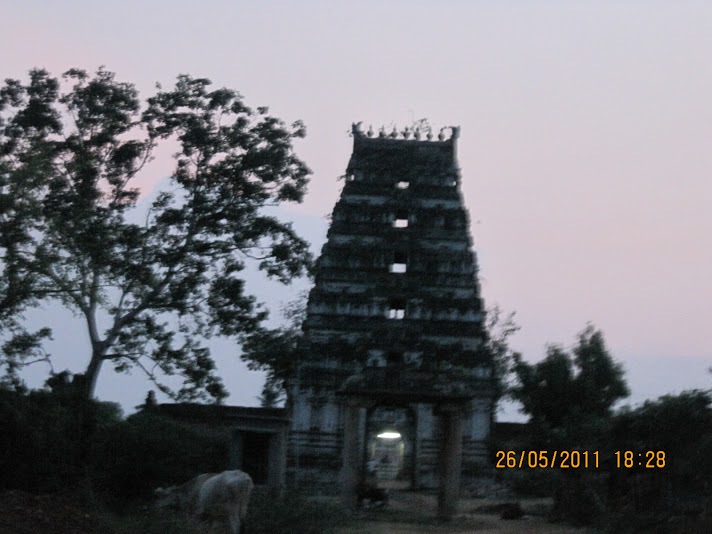 He appeared near Viranarayanapuram (present day Kattu Mannargudi) in Tamil Nadu. Yamunacharya was a child prodigy. 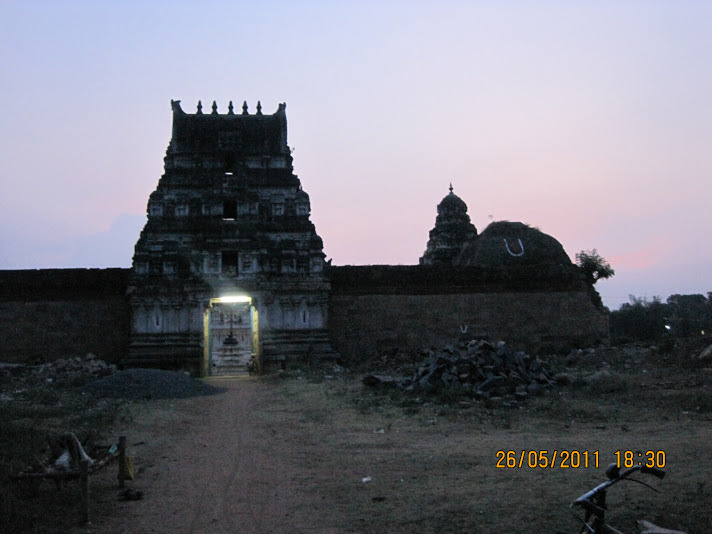 Yamunacharyar went to Sri Mahabhashya Bhatta a learned scholar as a student . 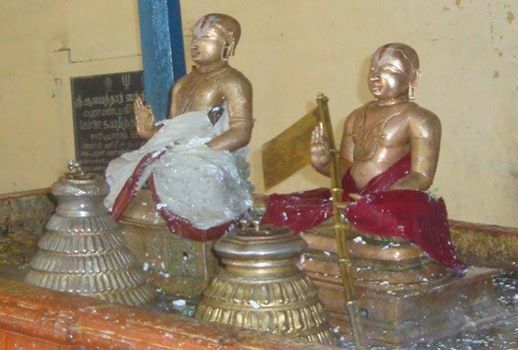 During those period all the Vidwans (scholars) in the Chola Kingdom had to pay annual tribute (prescribed fee) to Aakkialwan, the royal purohit and court pundit. One day on receiving the notice for the tribute, Mahabhashya Bhatta, became very sad, as he was penny less. Observing his sad face, and coming to know the difficult situation, Sri Yamuna took it upon Himself to put an end to the audacity and the atrocity of Aakkialwan. He tore the notice to pieces and sent the messenger back. On hearing this, Aakkialwan sent the messenger back to ask young Yamuna, whether he was a poet or a scholar well versed in Shastras who can take on him . Yamuna replied We are not just poets nor mere scholars who have seen the other shore of the Shastras. But , we have the strength and ability to tear open the opponents who indulge only in cheap publicity. 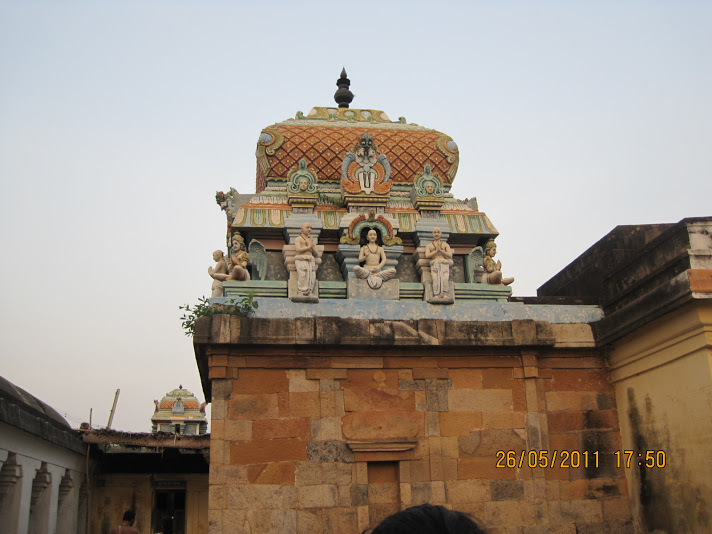 Seeing the reply, Aakkialwan was astonished at the scholarship of Sri Yamuna and expressed the same to the Chola King. The King ordered Yamuna to attend to his court immediately, which was refused bluntly by Sri Yamuna. The King realizing that he wasn’t dealing with an ordinary person sent a palanquin along with its bearers to bring Sri Yamuna. Looking at Sri Yamuna, the king ordered him to start the debate with court pundit, Aakkialwan as per the conversation . Sri Yamuna replied, Well, your Majesty it is hard for you to decide the winner and the loser when we debate and we both may not accept defeat. Therefore it would be appropriate if we argue in the midst of learned scholars who are assembled here . Having invited all learned men, he occupied the royal throne along with his queen at the debating hall. The queen, being very much impressed by the handsome appearance and tejas of the young man, drew the attention of the King towards him and exclaimed that the lad would never sustain defeat in the wordy quarrel. If at all he is defeated, she said that she would become a maid and cook the food for the dogs in the palace. The King too retorted saying that in case Aakkialwan was the loser, he would part with half of his kingdom by presenting it to Sri Yamuna. Aakkialwan said to Sri Yamuna, Let us start with ordinary worldly affairs. I will negate all your affirmatives and your negative statements will be made affirmatives by me. Agreeing to this proposal, Sri Yamuna uttered three sentences to Aakkialwan. Fearing corporeal punishment at the hands of the king by the denial of the three statements, Aakkialwan simply blinked and wronged his hands. But Sri Yamuna came out with his denial of these three statements with confidence . 3) Normally a girl becomes the wife of divine personalities like Indra etc prior to marriage as per shastras . Thus the queen has forfeited her claim for chastity. These negations earned the approval of all scholars and thus Aakkialwan was put to shame. The same fate overtook Aakkialwan in the Shastra debate that followed. 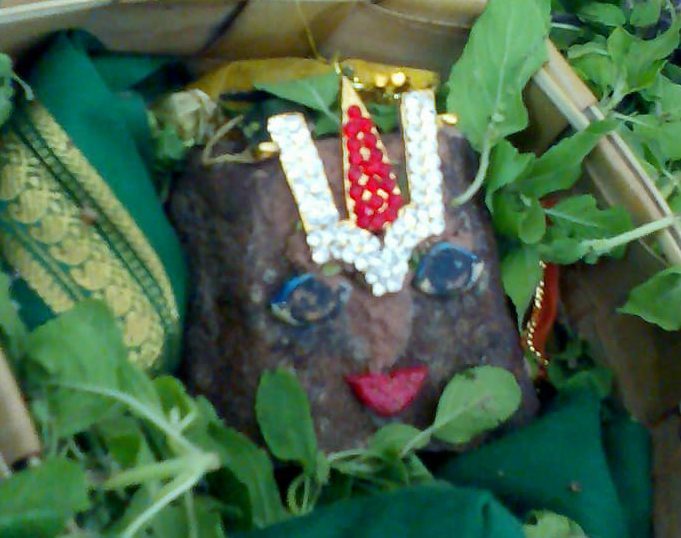 Now Sri Yamuna had acquired the right to strike on the head of Aakkialwan. But he politely declared his decent decision, Oh gentleman! I will not strike you on your head as per our agreement before the debate. 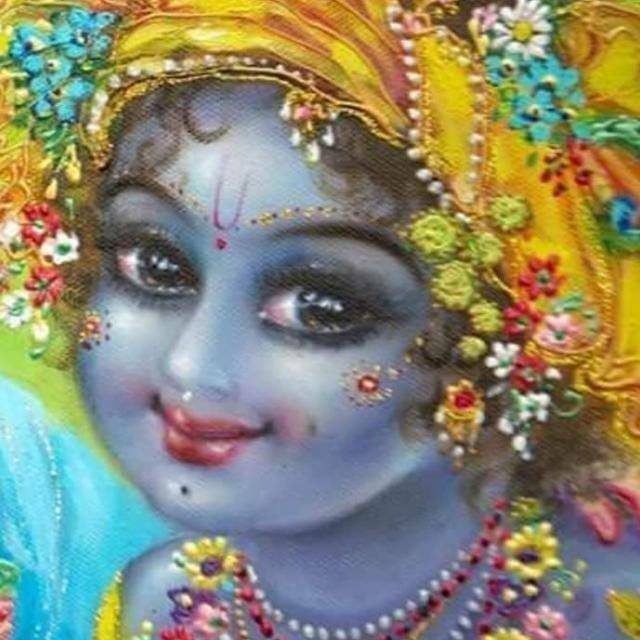 It is because, I give due respect to your age and the exalted position that you occupy in the royal court .
. From that day onwards he came to be called Aalavandar. Having said so, she took him to the palace accompanied by the King. 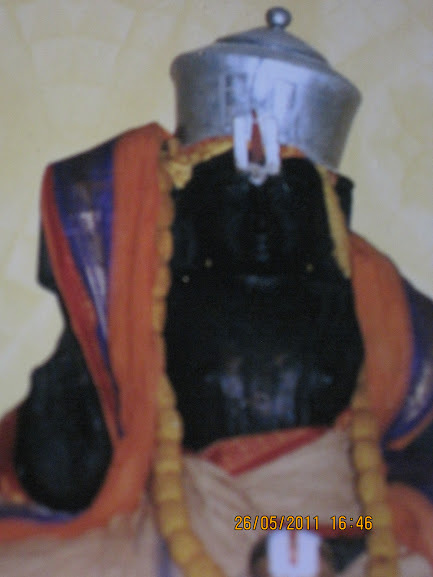 His Majesty also kept up his promise by offering half of his kingdom to Sri Aalavandar. Sir u furnish very useful unknown info. Thanks once again. If not a prob, can u inform any Univ in India which allows postal PH.D. or M.Phil. in Srivaishnavism or related to it as I am eager to do so. Just completed M.A Vaishnavism in Madras Univ. Sorry for bothering. 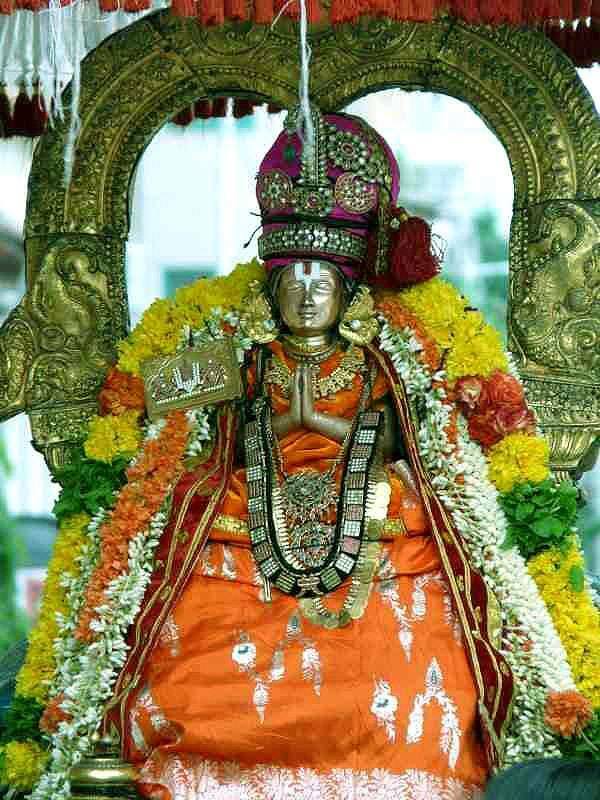 Adiyen Ramnuja Dasan – Jai Sriman Narayana!